We’re becoming ever more confident with cooking seafood at home, encouraged by celebrity chefs and what is surely a golden age for food writing. 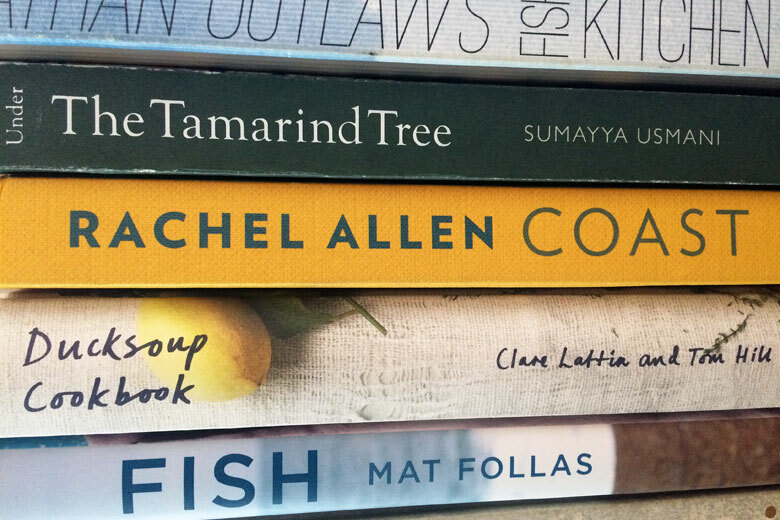 Rachel Walker leafs through a quartet of the best new cookbooks and picks out her favourite seafood recipes. 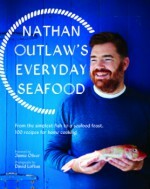 “Seafood is the best convenience food ever,” begins Nathan Outlaw, in his third seafood cookbook. It’s a bold statement from a two-Michelin starred chef. But the book stays true to its title, with recipes ranging from quick and simple fish dishes (pâté made from hot-smoked salmon and horseradish) to achievable seafood feasts, without a trace of foams or flurries. 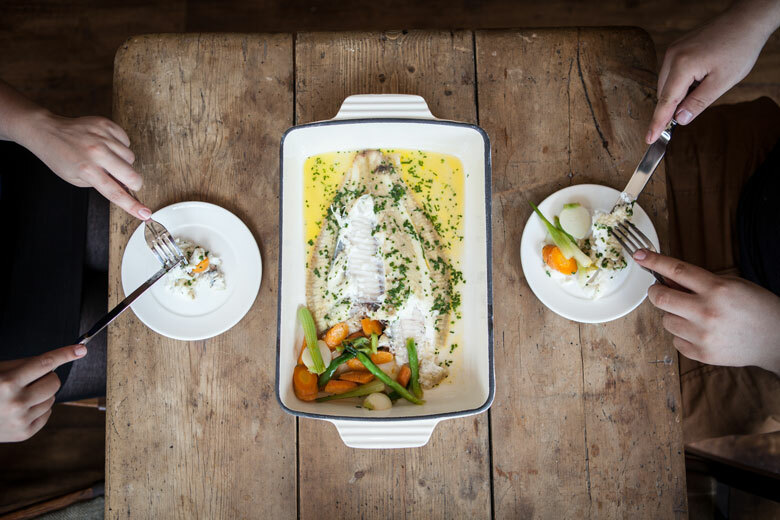 This is a proper 21st-century compendium, which acknowledges classic fish pies and retro fish finger rolls, and offers fun twists, such as Scotch eggs made with crab meat, and cod and ox cheek stew. It also captures the current enthusiasm for kitchen skills, with sections on pickles, barbecues and “bowl food”: colourful chowders, stews and soups. 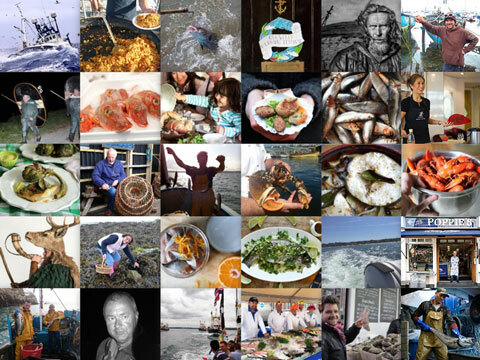 Year-round inspiration for anyone lucky enough to live on the coast or near a decent fishmonger. Ducksoup is a misleading title for a cookbook containing heaps of mouth-watering seafood recipes: its name comes from the Soho restaurant launched in 2011. This teeny gem was an early adopter of the short, handwritten-menu, along with BYO vinyl and small sharing plates, which are reflected in the recipes in its debut cookbook. The restaurant menu only lists the dish components, to emphasise how ingredients take priority over swizzy cooking techniques. 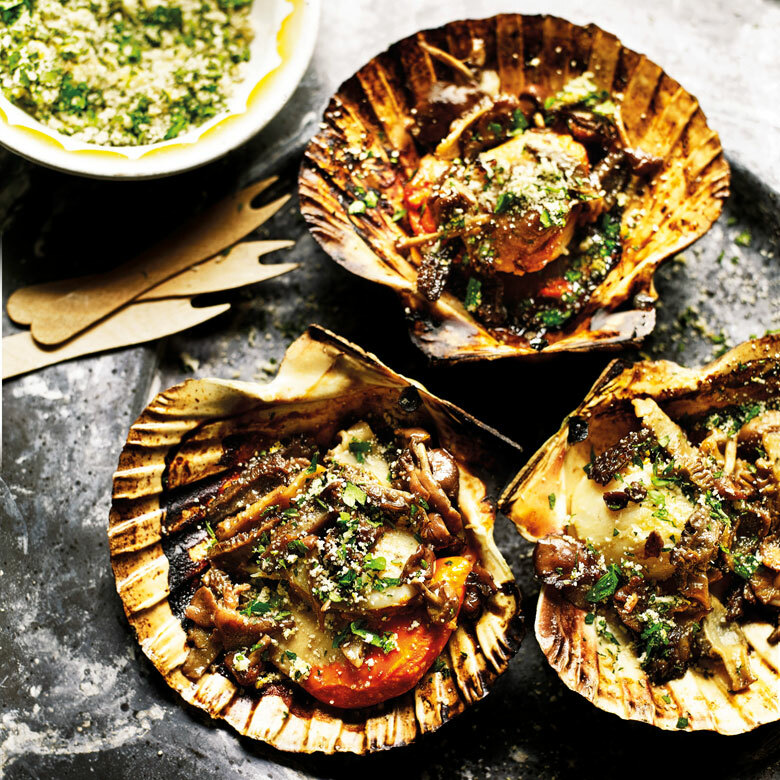 The same goes for the recipes here, such as charred fennel, mussels, cockles and fregola, and razor clams, wild garlic and lemon. The recipes are well-written and mostly straightforward: their elegance comes from the fresh flavour combinations and beautiful plating, captured by photographer Kristin Perers and explained in careful detail. There’s a useful essay “On presentation”, too. 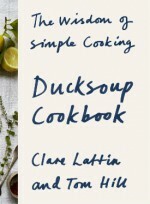 The opening chapter, “The Ducksoup Larder”, sets the tone: unwaxed lemons, tahini, za’atar and freekeh are listed amongst the “go-to” ingredients. While the more economical cook might resent having to spend a fortune to make a dish from scratch, those whose store cupboards are already overflowing with such ingredients will relish the opportunity. Other chapters are grouped together by the length of time needed to recreate the recipes. Dorset crab, tomatoes, monk’s beard and caper mayonnaise is listed under “A Little More Cooking”, while cured salmon, buttermilk, shaved radish and dill, and the salt cod recipe pictured below, come under a tantalising selection of “Quick Things”. Thought that BBQs were all sausages and steaks? Think again! 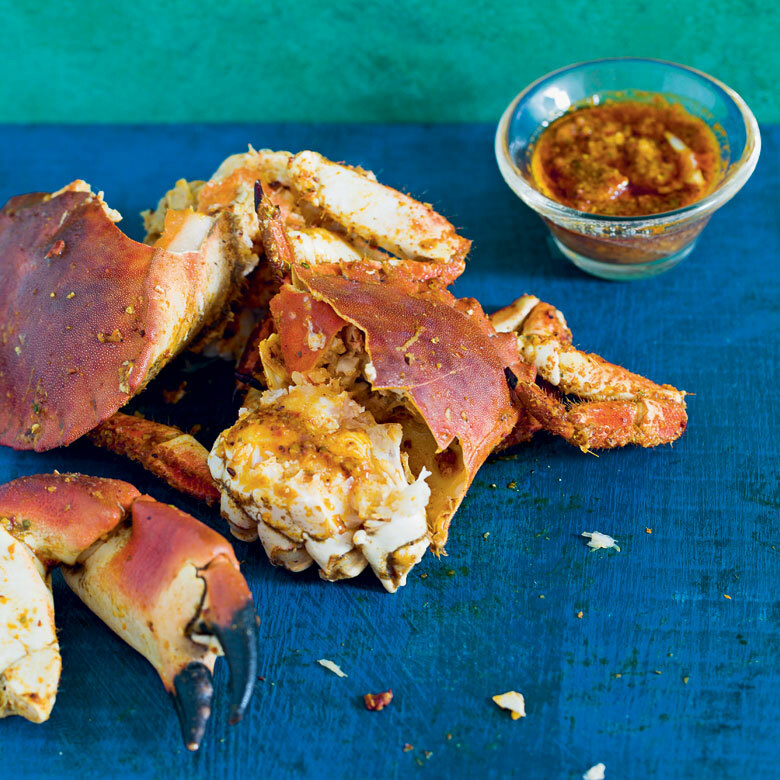 This debut cookbook from Salt Yard chef Ben Tish is crammed with delicious seafood recipes: barbecued brill, grilled crab, lobster and octopus, as well as smoked cod and charred cuttlefish. It’s a serious looking book: serious title, serious diagrams, serious photography. But it’s aimed just as much at amateurs as ambitious barbecuers. 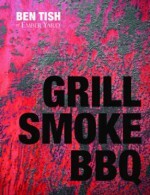 The book begins with a brilliantly comprehensive guide, which starts with the basics on how to pick a barbecue, then goes on to discuss charcoal, as well as helpful cooking tips. None of it encourages a big spend. “Start with some simple, functional kit,” Ben advises, listing a sturdy fish slice and fish grilling basket in a reassuringly concise list of accessories. Most of the seafood recipes grill fish or shellfish straight over coals, basting it with all manner of creative sauces from chilli-spiked marinades to seaweed butter. The breadth of recipes throughout the book mean there’s plenty to graduate on to, having mastered the basics – like the unexpected chapter on barbecued breads, which features a recipe for flatbreads with garlic and rosemary pesto and anchovies. 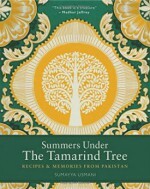 Sumayya reminds readers that Pakistan’s capital, Karachi, is built around an enormous port: “A lot of the city’s activity and recreation, not to mention its food, revolves round the sea.” When I interviewed her before the book launch, she explained how childhood memories underpinned a lot of the recipes, from weekend night-fishing trips at Kemari Jetty to seafood biriyani on Seaview Beach. Childhood photographs create a sense of nostalgia, and other images taken round Karachi reiterate the authenticity of the recipes. The fact that there’s no dumbing-down means a bit of canny sourcing is required (carom seeds, anardana dried pomegranate, amchoor dried mango, kalanamak black salt). It’s also worth paying attention to the guide of traditional techniques before starting. 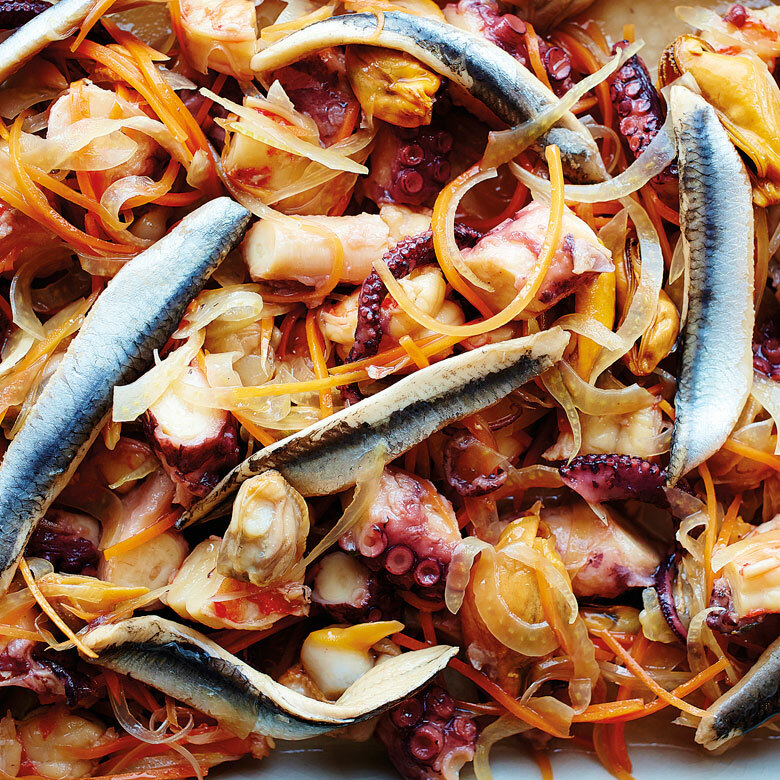 The extra effort pays off: the result is delicious, richly flavoured seafood. Keep your eyes on the website for the second part of our round-up, including Coast by Rachel Allen, A-Z of Eating by Felicity Cloake, Basque by Jose Pizarro and The Nordic Kitchen by Claus Meyer, coming soon. 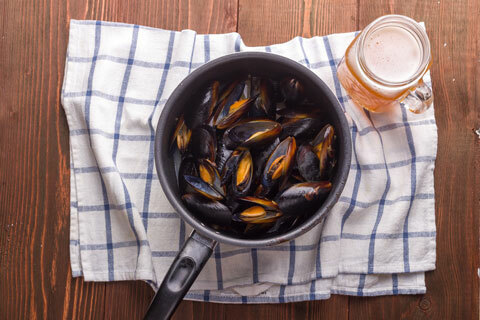 The explosion in craft brewing has sparked a renaissance in partnering food, including seafood, with beer. Lucy Bridgers explores some matches made in heaven. 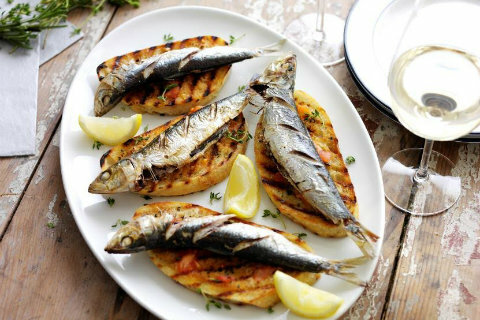 Salt Yard’s Ben Tish says that sardines are made for cooking on summer BBQs. 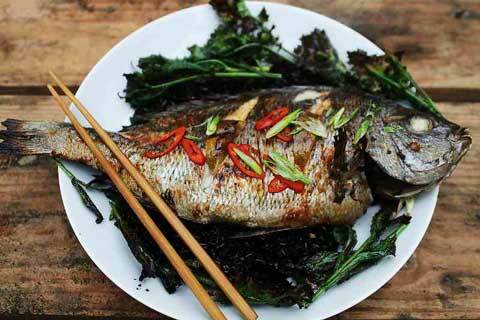 This recipe uses herbs both to flavour the bread and to smoke the fish as they grill. 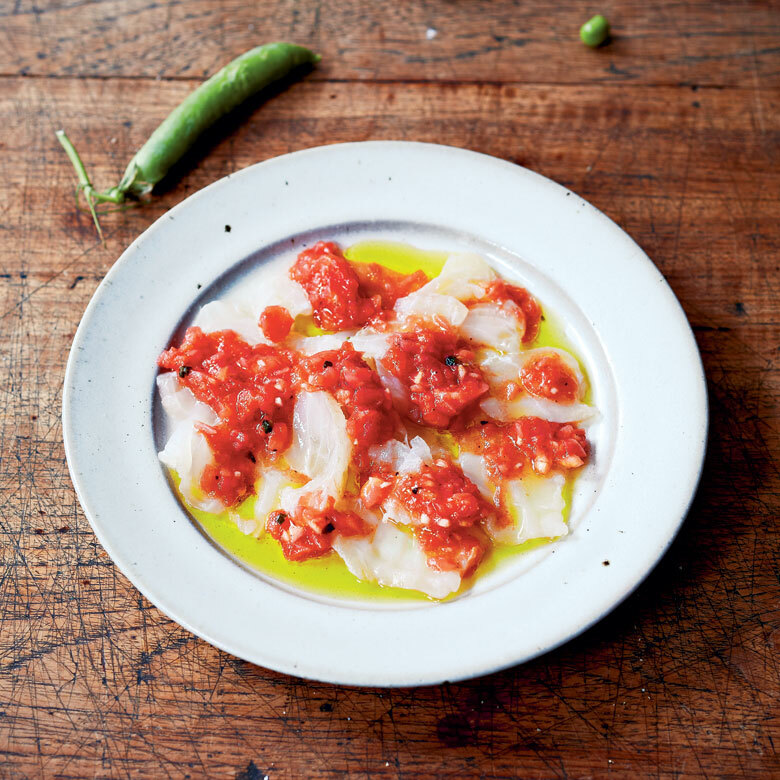 Marcus Bawdon came up with this recipe to relive fond memories of enjoying crisp-skinned fish, smothered in chilli sauce and cooked over hot coals in far-flung lands.